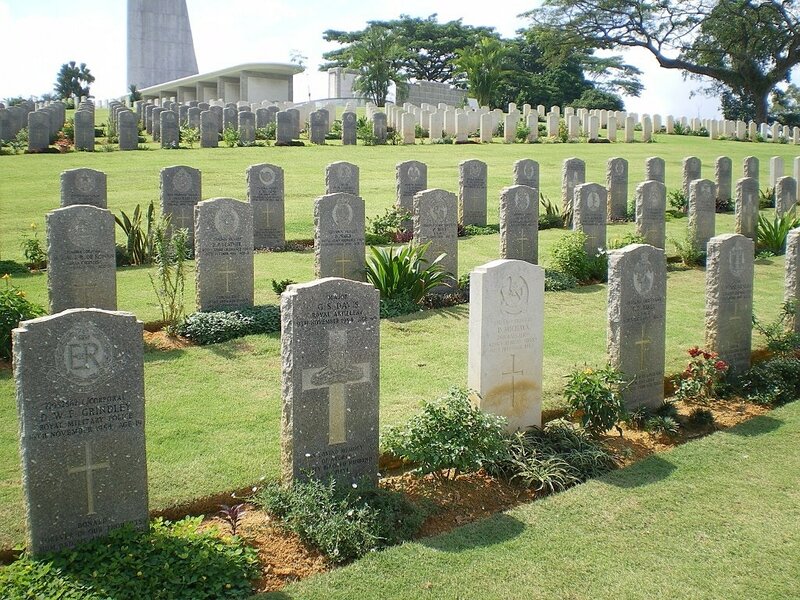 Kranji War Cemetery is 22 kilometres north of the city of Singapore, on the north side of Singapore Island overlooking the Straits of Johore. It is located just to the West of the Singapore-Johore road (Bukit Timah Expressway) on Woodlands Road, just to the south of the crossroads with Turf Club Avenue and Kranji Road. There is a short approach road from the main road. Kranji War Cemetery is known locally as Kranji Memorial and one must be sure of the address before boarding a taxi as most taxi drivers do not know the Cemetery. There are also bus stops on the main road facing the Cemetery. 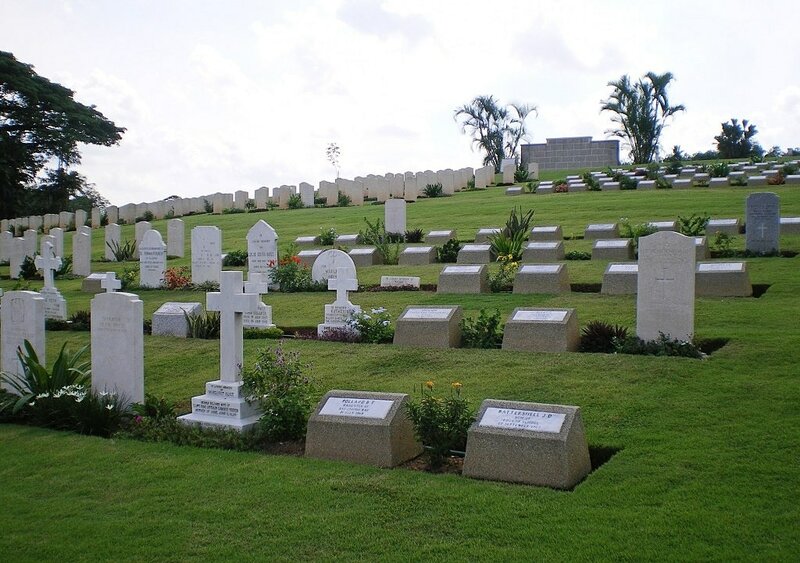 The Kranji MRT (train) terminal is a short distance from the Cemetery, approximately 10 to 15 minutes away by foot. A previous visitor has advised us that a small map of the route can be obtained from the MRT ticket office. Kranji Military Cemetery is open every day 07:00-18:30. 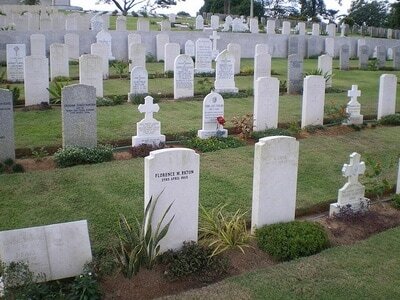 Historical InformationKranji Military Cemetery is a substantial non-world war site of 1,422 burials, created in 1975 when it was found necessary to remove the graves of servicemen and their families from Pasir Panjang and Ulu Pandan cemeteries. Some of the burials have since been re-classified as Commonwealth War Dead and there is also one Dutch Army burial from 1954 in the cemetery. 14717 Private John Connell, 1st Garrison Bn. Manchester Regiment, died 28th December 1919, aged 33. 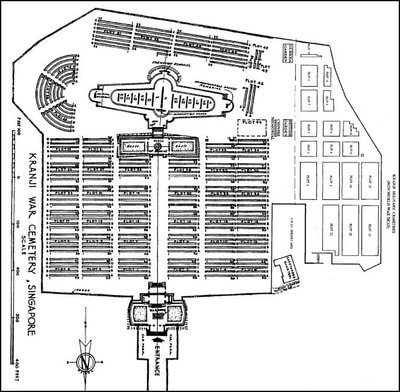 Plot 2 Row D Grave 25. 36251 Company Quartermaster Serjeant Edward James Dugan, Royal Garrison Artillery, died 18th December 1919, aged 23. Plot 1 Row D Grave 25. Son of Maria Gaston, of 90 Upper South Street, Gosport, Hants. 16763 Company Quartermaster Serjeant Arthur William Elliott Fisher, Royal Garrison Artillery, died 24th July 1919, aged 33. Plot 1 Row D Grave 26. S/6068 Serjeant William Hardie M. S. M., Royal Army Ordnance Corps, died 8th September 1920, aged 33. Plot 1 Row C Grave 20. 61365 Private James Lavin, 1st Garrison Bn. South Staffordshire Regiment, died 1st May 1920, aged 31. 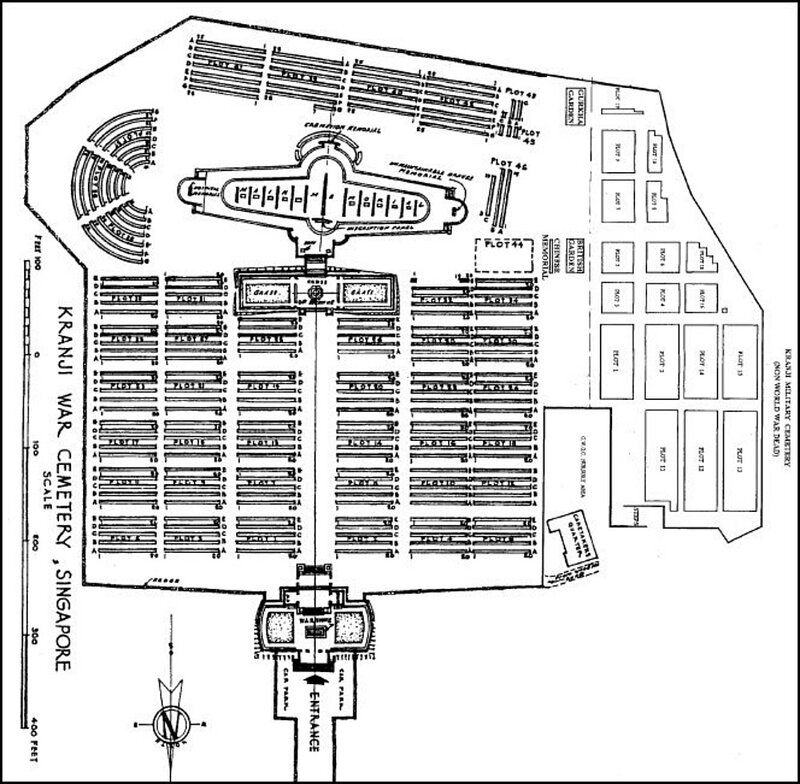 Plot 2 Row D Grave 26. 29098 Serjeant Martin Ryan, Royal Garrison Artillery, died 7th August 1920, aged 30. Plot 2 Row E Grave 16. 1409451 Gunner Thomas Winters, 80th Company, Royal Garrison Artillery, died 20th August 1921, aged 36. Plot 2 Row E Grave 15.